Carroll's Early Access allows high school juniors and seniors to start their college experience and career path now. Registration begins December 3. Get an early start on college – for free! Starting early provides high school students the opportunity to acquire up to a year’s worth of college credits tuition-free, resulting in the possibility of graduating college in three years. By creating a pathway to begin a career sooner, students are able to enter the workforce or graduate school earlier, resulting in potentially higher lifetime earnings. The Carroll Early Access program provides an authentic, on-campus college experience for local Helena students tuition-free. High school juniors and seniors may take up to two classes per semester from the approved course list. Most courses are three credits but those that offer a lab component will be four credits. Classes will be taught by Carroll's outstanding professors and you will learn alongside current Carroll students on Carroll's campus. Students who complete the courses will receive Carroll College credits, which can be used at Carroll to pursue a future degree or transferred to another institution. While tuition is free, there is a nominal $60 student fee per semester and some classes have an additional course fee (such as labs) to cover supplies. In addition to these fees, students are responsible for the purchase of their own books and supplies. Families are responsible for the student's transportation to and from campus. 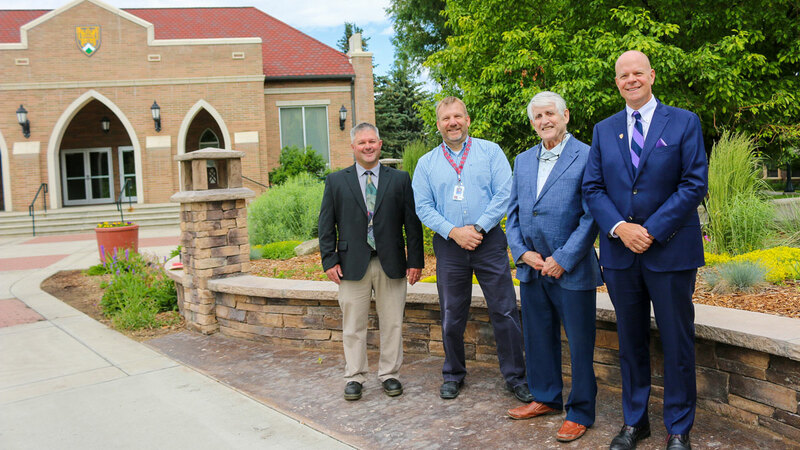 Students enrolled in the program will be issued a Carroll ID that will provide access to Carroll's Corette Library as well as Carroll home athletic and performing arts events. Students will be invited to attend lectures and other academic events available to all Carroll students. A parking pass will also be provided for students to park in specified areas on campus. Students may sign up for admission to the Carroll Early Access program by filling out the online registration. Students will be asked to select up to five class choices. Once the online application form is submitted, the student's high school counselor will update the student's high school class schedule and place them in the Carroll Easy Access class(es) that best meet their overall schedule. The student, guardian, and high school counselor or principal will each sign the registration form. Note: The Carroll Admission staff will work directly with guardians of homeschooled students. High school counselors will then submit the application form, schedule, and high school transcripts to the Carroll Admission office. Students are required to have a GPA of 3.25 to enroll in the program. Registration must be submitted to the Carroll College Admission Office by your counselor before the start of each semester. Contact your high school counselor or principal if you are interested in Carroll's Dual Enrollment program. Dual enrollment is a separate program from the Carroll Early Access program. It is a course taught in the student’s high school by a high school teacher with college credit given for the class through an agreement with the college. Carroll has dual enrollment programs in mathematics and computer science at Capital, Helena, St. Andrew and Loyola (Missoula) high schools. Carroll College is now matching the Montana University System rates for dual enrollment courses at $50 per credit. Contact the Carroll College Office of Admission at 406-447-4384 or admission@carroll.edu.